Pete Peterson is determined to win the Corn-test trophy at the Annual Outback Creek Corn-fest. He has been waiting seven years to use his victory speech joke. 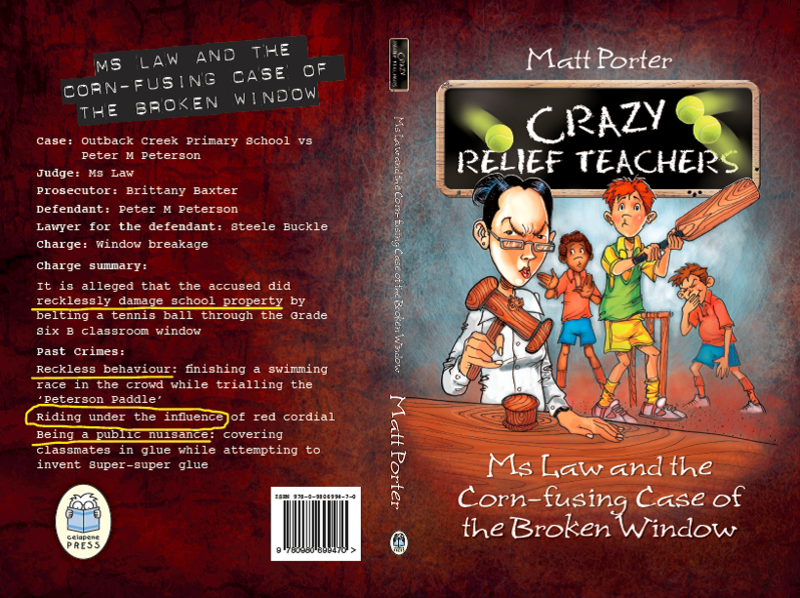 Ms Law, the new Relief Teacher arrives on the day a ball breaks Pete’s class window in a before-school cricket match. 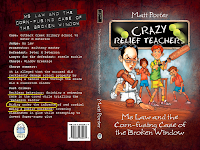 She sets up a courtroom to ascertain whether Pete is guilty of reckless behaviour and other charges, and therefore ineligible for the Corn-test. His friend Steele Buckle must find a defence for Pete or some evidence that will save the day. As usual, chaos reigns throughout the proceedings, until the indisputable evidence needed, is accidently discovered. This is book two in the series which began with the incredible Mr Sergeant and the Dodgeballs of Doom. This is just as crazy (even crazier, if possible) with more play on words, especially corny ones. Every word that can be corn-figured is, and every page is a confusion of silliness and clever exchanges of words. Matt Porter definitely still has all the joy of childhood alive and well in him, which he successfully transfers to the pages of this chapter book. His stories encourage reluctant readers to pick up a book and read because of their fun-loving content and smart language. The characters are all crazy and lovable. Outback Creek is the type of school that uninhibited children long to go to, and primary students love to read about. These books are aimed at the 8+ age group, but older readers get a kick out of the clever way words are used and manipulated.